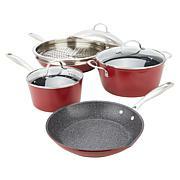 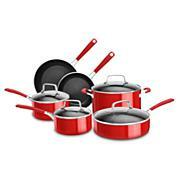 Enjoy the long-lasting durability of this hard-anodized, nonstick cookware from KitchenAid. 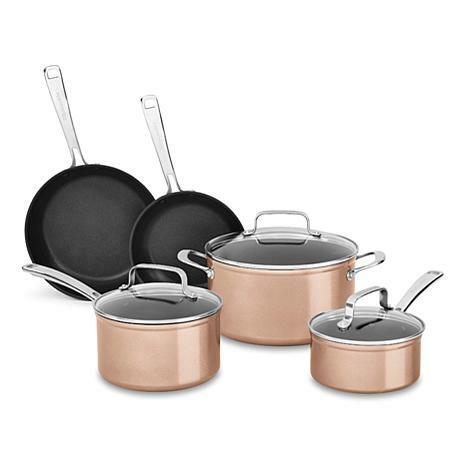 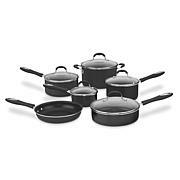 With five unique pan bodies, this sturdy set equips you to prepare all kinds of meals from fried eggs and sausage for breakfast to penne alla vodka for dinner. 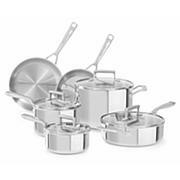 When your meal is all set, just place your pans in the dishwasher for easy cleanup.